Acquiring information and data on Dunkerque for future scratch-build in 1:600. A French cruiser and destroyer are also in the works. Should be an interesting project group, as material on French warships seems comparatively scarce, next to USN/IJN/RN. 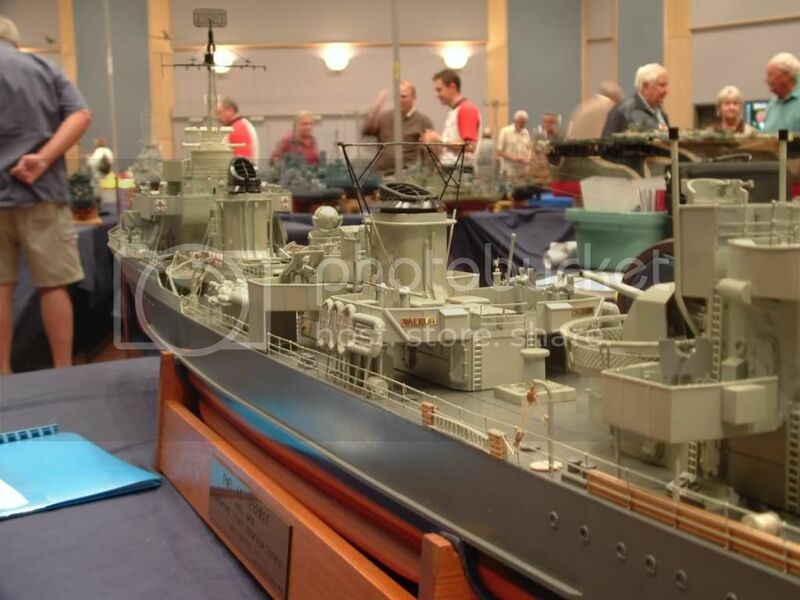 Richelieu seems to be the one most-represented by modelers and commercial interests. I feel that others deserve some attention. There are many attractive choices in WW2-era French warships. Moderator Note: All the Pre-Dreadnought related posts have been culled and made into their own thread, which is now in the "Battleship" sub-section. Sorry - my last post about the Heller DeGaulle and Duquesne kits was meant to go in this thread, and I screwed up and called it a new topic by mistake. Sorry about that! 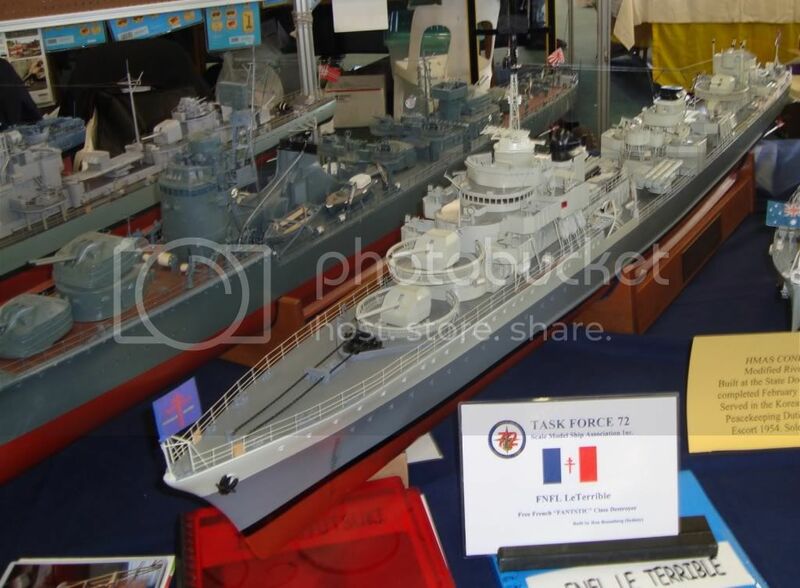 Nope, there is not enough available in the French Warship model world. It goes like this. After building 1-600 scale models until I was 16, I moved up to 1-400 Heller kits, kit bashing in a small way to upgrade some of the '50-60's DE's and the later Duquesne DDG's. I completed the 50/60's French Marine (all now a bit dusty in the loft) as represented by Heller, and waited with baited breath when they started RN ships, but as with other Model Firms they started with a few of the Big Uns, the Hood (q.v), KGV, Victorious. I was hoping for a Belfast/Sheffield cruiser to join this collection. 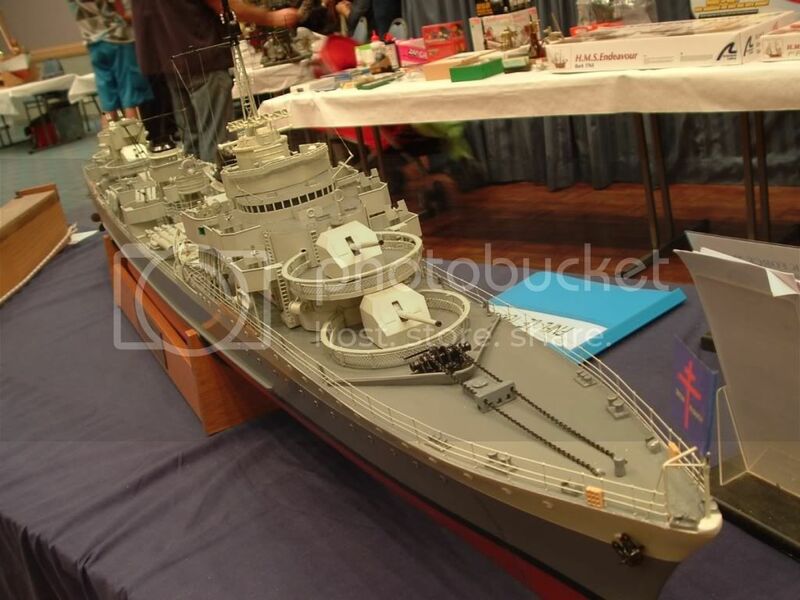 However, a very interesting model in the form of the CVL Arromances/HMS Colossus turned out, after that nothing more. 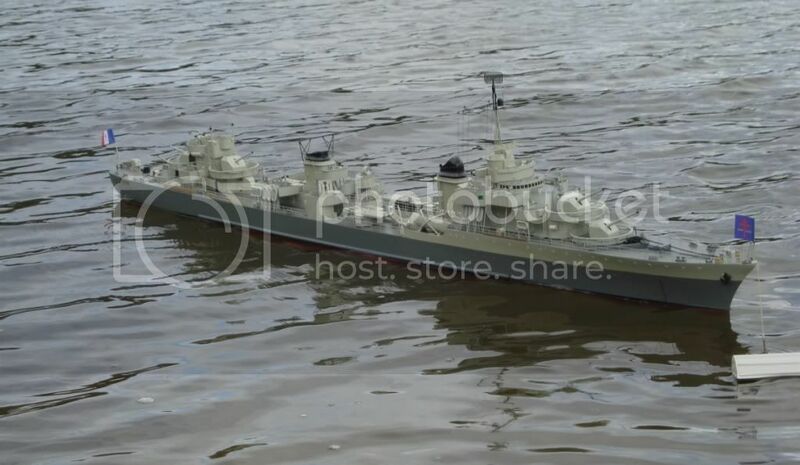 I think, if you look at the immediate pre-WW2 ships of the Marine Nationale there were some very interesting models...all this leads me to...Trumpeter who seem to be opening up the market. However, the range of 1-400 Heller ships (even if the early ones were a bit rough) was quite impressive. It lead me to purchase the range in Boulogne-sur-mer, as the British Hobby shops could not oblige at the time. Seeing as the Ship Model world is apparently finding more fans, I wonder if Heller would find their way to producing more new items. Particularly fine ships for modelling would be the Croiseur Lourd Tourville/Suffren, Croiseur Leger Emile Bertin/Georges Leygues. It would be a bonus if the ships could be 1-350 scale, but unlikely! Those two destroyers were , to me , the most handsome destroyers ever built , capable of a speed of over the 40 knots . 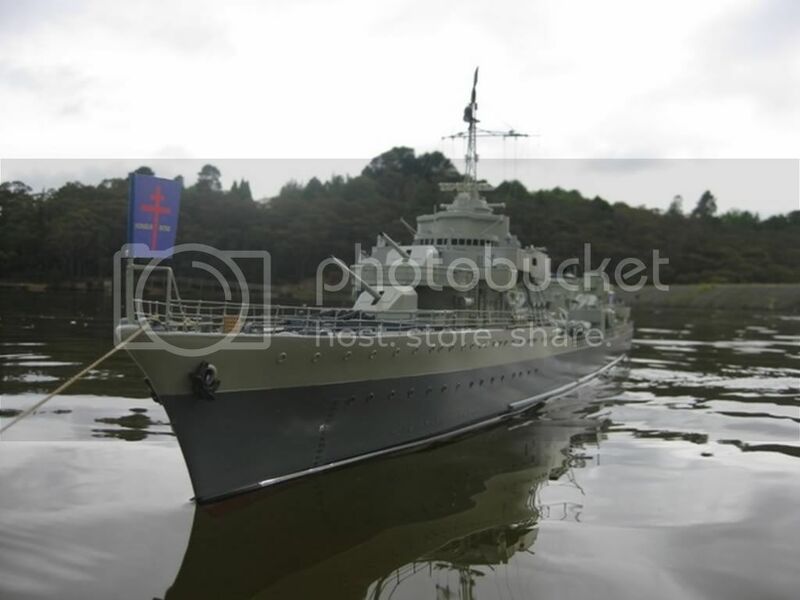 As somebody who has built the 1950's/60's and 70's Heller 1-400 French warship collection, I would dearly like to see some of the great French cruisers built pre-WW2, as well as the odd destroyer. WW1 and turn of the century is a tad too early for me. Post subject: French ships on dvd? Does anyone know of any dvds with archive footage of WW1 or WW2 French warships? There are some clips of WW2 ships in "victory at sea", but there must be more out there somewhere mustn't there??? I have the combrig Algerie on it's way. anyone built this kit? The review of it over at steelnavy is positively glowing, but I want to hear about construction and the like. Thanks. a constantly shifting fleet of half-starts and near finishes. I have the combrig Algerie on it's way. anyone built this kit? The review of it over at steelnavy is positively glowing, but I want to hear about construction and the like. There are some problems with the platforms of foremast. Kombrig tried to make possible to built versions, but did not include all the necessary parts. There were changes, e.g. with AA guns on this platforms vs. a additional admiral bridge. Has anyone any good info or images of any of the Fantasque's after their refit in Boston? I've seen a poor image of La Malin in '44, but I'm looking for more data. Thanks! I guess that tears it, I'm going to have to get that book! The drawing attached is a direct copy of Bjorn Landstrom's drawing in "The ship" (number 672, page 262 in the dutch version). I strongly suggest you buy the original. Long time lurker that finally decided to register. I am trying to locate the French warship plans listed above. I don't speak French and I know that we are not supposed to post direct links. Could someone please provide some hints or spell out the link a bit clearer without breaking any rules. If you are looking for the plans located on the French Archives website, they are not available at this time due to a malicious hacking attack some time last year. It is unknown whether they will be made available again - there used to be a message on their site that says it will be down for an indeterminable amount of time, but even that is gone now. Thank you Timmy C. Just my luck. Since the French site is off line. Did anyone download the plans for any of the French Armored Cruisers? If so, can I acquire a copy from you? Has anyone had any experience with the WSW George Leygue? Check out the Task Force 72 website, in particular the mission reports post-2008, Many of them have close up shots of Le Terrible post refit. Ooooo that's one sleek look tin can! Looks like a French version of a Fletcher with some British influence/equipment. I LIKE!!! Anyone have anymore info on the ship/class? Can't really make out the ID card or plaque in the photos. It's Le Terrible of the Fantasque class.